If you are looking for phenomenal and very high quality luxury bedding, then you are at Casa Padrino, the baroque wholesale from the beautiful city of Essen (Germany), just right. We offer you wonderful bed linen to beautify your living quality. 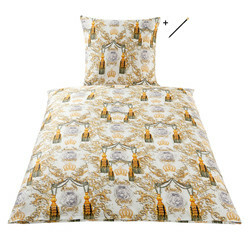 The entire bedding was designed and designed by the "Prince of Pompöös" - Harald Glööckler. Such creamy pieces are not only trendy, but also absolutely in vogue. 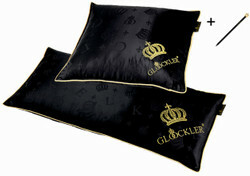 As more and more exclusivity is used in today's living areas, luxury bedding by Harald Glööckler is almost standard. The material used is of a high quality in every respect and we guarantee that you will enjoy all bedding products for a long time. Let yourself be enchanted by these beautiful bedding articles and transform your home into your personal oasis of well-being, with a fairytale and noble atmosphere. Bring your own personal Neuschwanstein Castle to your home and reside and revel in pure luxury like King Ludwig II. Because Harald Glööckler does not use the golden crown as his trademark for nothing. Just like a king in his fairytale castle.